The Chromebooks are launched, and with the different operating system unlike the Windows and Mac OS, the options and interface for sure would be a lot different. Doing the most basic things in the Google Chrome OS would be different and new, and one has to learn about it. The basic activities usually are taking screenshot, transferring data to other devices etc. and taking screenshots is one of the important ones too, to share tutorials, to share info with friends in an easy way. But as said, the Google Chrome OS and the Chromebooks have a different way of operating the things. Press "Ctrl" + "Page Flipper Key" (Image) together and the screenshot is taken and saved in a separate folder from where you can retrieve the screenshot. The screenshot taken in the Chromebook are stored at a particular folder in the file manager, and the interface is quite different from that of Windows. You need to go to the File Manager directly by pressing "Ctrl + M", and in that, you would see the "File Shelf" where the different saved items can be seen in various folders. Go to the "Screenshots" section and there you would see the captured screenshots sorted by the date and time taken. Taking screenshots is a simple trick in Google Chrome OS, and as in other operating systems, here too you can use the different browser apps etc. to take the screenshots but the simplest one is the keyboard shortcuts. The Page Flipper key helps in more than one function, just like the Print Screen key does in the Windows computer keyboards. The page flipper is the key that is 7 buttons down from the power button. It looks like square windows. The flipper key is a key with an arrow on it. It lets you also flip between the various windows that you may have open. This article is perfect for Chromebook users on getting screen shots. I don't have a flip button... 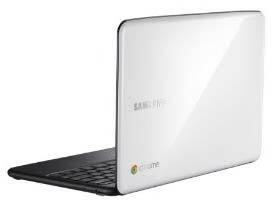 I have an Acer Chromebook..
i have a samsung chromebook. i only have 5 keys below the power button, and while i have 2 different sets of arrow keys, neither goes through the different tabs i have open. one set (at the top left, like function buttons) are reload/go back buttons for the open tab itself, the other set (at the bottom right) will turn pages *within* a site that is open. neither will allow me to move between tabs. i haven't yet discovered which other key may be the "page flipper key." agree with rob r - images would have helped this small tutorial a LOT. posting for others - here is one simple image that will show you how to take a screenshot - easy-peasy. also, (at least in mine) the image will not be in a separate folder labelled screenshots; it's just in the download file list as "screenshot (date)." you can get there with cntl+m if you don't know how to access your d/l files. What a horribly written article. Not only do you not properly identify what you call a "page flipper key", but pressing ctrl+m does absolutely nothing on an Acer Chromebook. This article was far from helpful, and only added to my frustration of not being able render a screenshot. Hello. This was NOT helpful. So, can anybody, of any use, tell me how to do a screen shot? And what the hell is a flipper key? Using an Acer Chromebook here for anyone looking for help in future, it's ctrl + F5. I wasn't able to screencap what I needed in time but hopefully it's of use to someone! it's just ctrl + f5 people. The overview key has a square rectangle symbol with two horizontal lines next to it. If you want to click a still photo on the whole screen then you can hold down the “ctrl” key and press the F5 key. The notifications of popup will indicate the screenshot that captures. You just need to click on the notifications for viewing the default directory for screenshot and for copying the .png files to the clipboard and paste it anywhere just click on the bottom portion. You need to go to the File Manager directly by pressing "Ctrl + M", and in that, you would see the "File Shelf" where the different saved items can be seen in various folders. Go to the "Screenshot"